Senior Sarah Osborne shoots a jumper over an outreached Gallatin County defender. 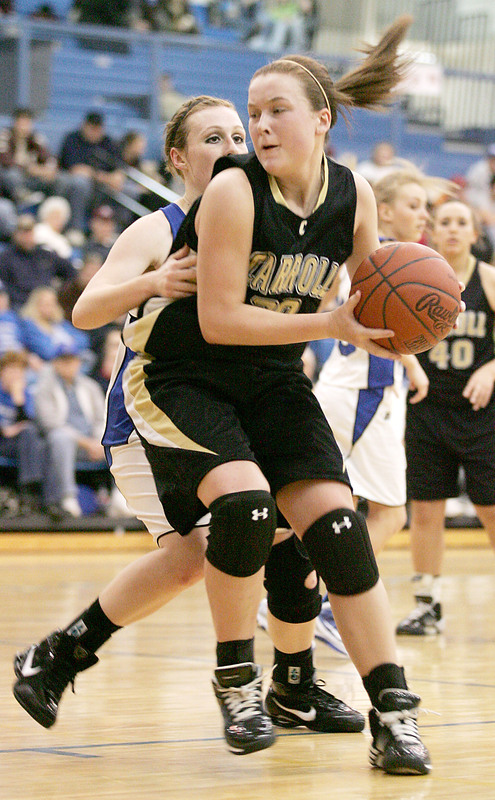 Sophomore Hannah Devine makes her move in the low post. 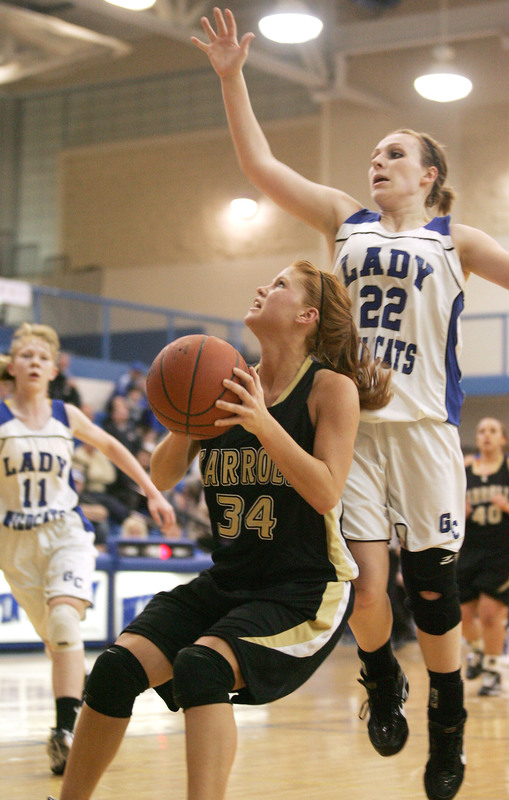 Junior Kyndal Curry attempts to avoid a block before putting up her shot.